Luxury home prices rose 5.2 percent year over year and did especially well in lower-tax states in Q2. Even so, the rate of growth was down, according to new data from Redfin. 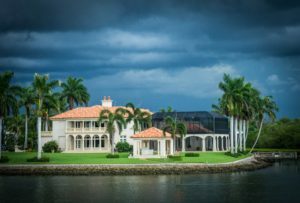 The report found that luxury home prices, predominantly in Florida, Nevada, and Washington, grew to an average of $1.9 million in the second quarter. In Q1, that growth was up 7.3 percent. The average price for the bottom 95 percent of luxury homes was $350,000. That’s 5.4 percent higher than in Q2 of 2017. Luxury homes, which spent an average of 65 days on the market nationally, sold much faster in the Bay Area. Luxury homes in Oakland sold in an average of 17 days, followed by San Jose at 19 days and San Francisco in 29 days. Seattle’s luxury homes moved in an average 43 days, while Washington, D.C. luxury homes moved in 44. Cities across Florida and the western U.S. saw the nation’s largest increases in luxury home prices in Q2, according to Redfin. In West Palm Beach, Fla., the average sale price for a luxury home was up 85 percent over last year, closing at to $2.24 million. Luxury home prices were up 59 percent in Boynton Beach, Fla., as well. The biggest drops in luxury prices were east of the Mississippi. The average price for a luxury home fell the most in Boston, down 16.7 percent year over year in Q2, the report stated. However, prices for non-luxury homes in Boston grew 9.7 percent. Prices for high-end properties also dropped 15.6 percent in Clearwater, Fla., and were down less than 2 percent in Sandy Springs, Ga., and Alexandria, Va. Previous: Which Non-Conventional Loans Do Borrowers Prefer?